The components chart for grapes has been put together with the help of a number of enthusiastic Gastronomixs users. One of the components you'll find, for example, is a purée of raisins and capers. But what is actually the difference between a raisin and a currant? Both raisins and currants are dried grapes. The difference, however, is that currants are made from a seedless variety of grape with a very small fruit, while raisins are made from a variety of grape with larger fruits. The production process is the same for both, with bunches of grapes left to dry in the sun among vine branches. Moisture levels in the grapes drop and the fruit falls off the stalk. The darker the colour of a currant or raisin, the sweeter it will be. 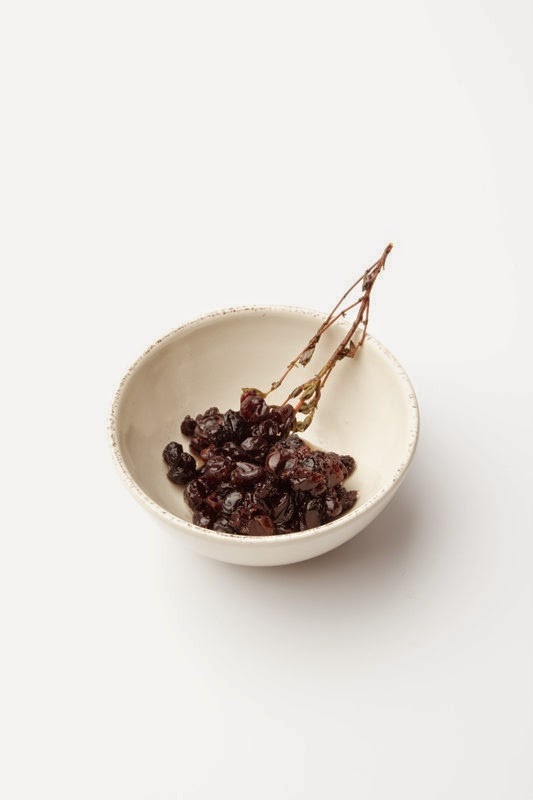 You can also get light coloured currants, of course, which have been immersed in a saline solution, known as potash, before undergoing the drying process. The USA, in particular, is well-known for its currants and raisins and is where the technique was originally developed to be able to keep grapes for longer. You'll find a variety of components containing raisins on Gastronomixs. How about a tangy redcabbage, ginger, and raisin salad for example? What will you use them for?